Hello everyone! My name is Nancy Mahoney. 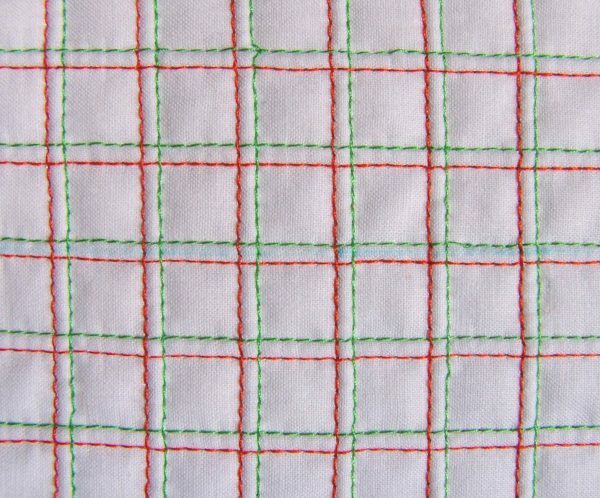 I started making quilts in the mid-1970s and have been machine quilting my own quilts since the mid-1990s. I enjoy using a variety of machine quilting techniques on my BERNINA 790, including free-motion and walking-foot quilting. In today’s tip, I’m going to show you how to use a Twin Needle (also called a Double Needle) and a Walking Foot to create fun and easy quilting designs. I always start by making a sample quilt sandwich. That way I can test the design and thread color, as well as practice quilting before starting on my actual quilt. 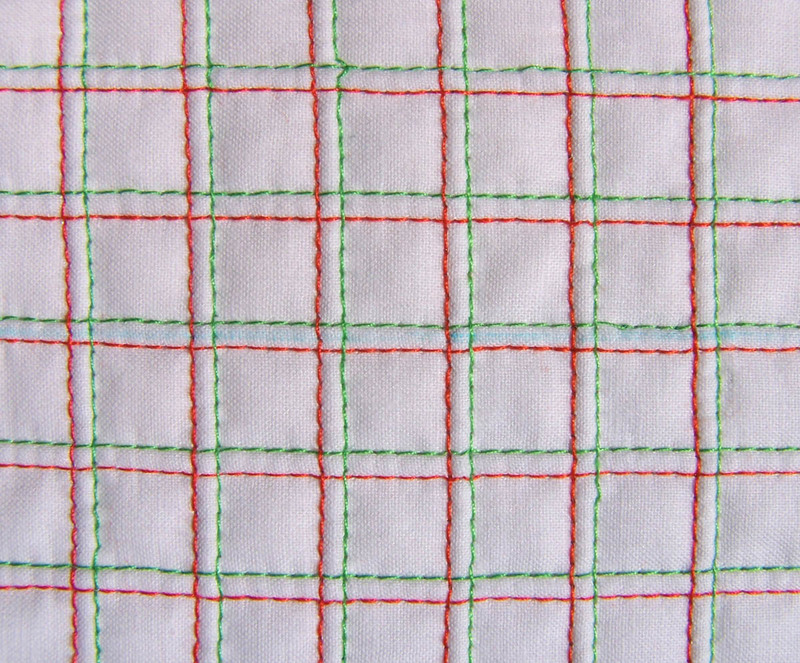 My sample quilt sandwich consisting of two 12″ x 12″ squares of solid-colored fabric and a 12″ x 12″ square of American Spirit Batting by Fairfield, Classic Cotton, 100% cotton. I spray-basted the layers using Sulky KK2000. 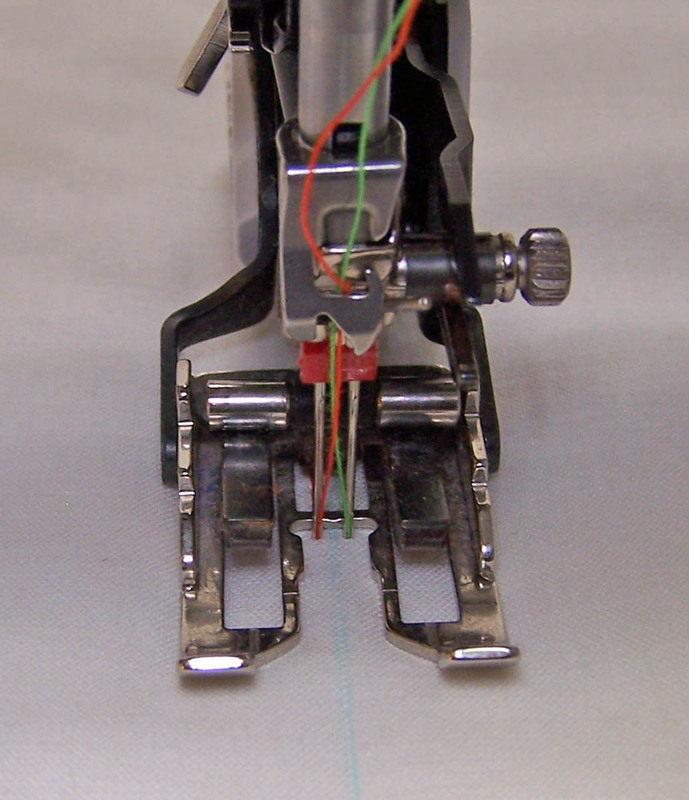 On a Twin Needle, the two needles are attached to a single crossbar, so you can stitch two rows simultaneously. 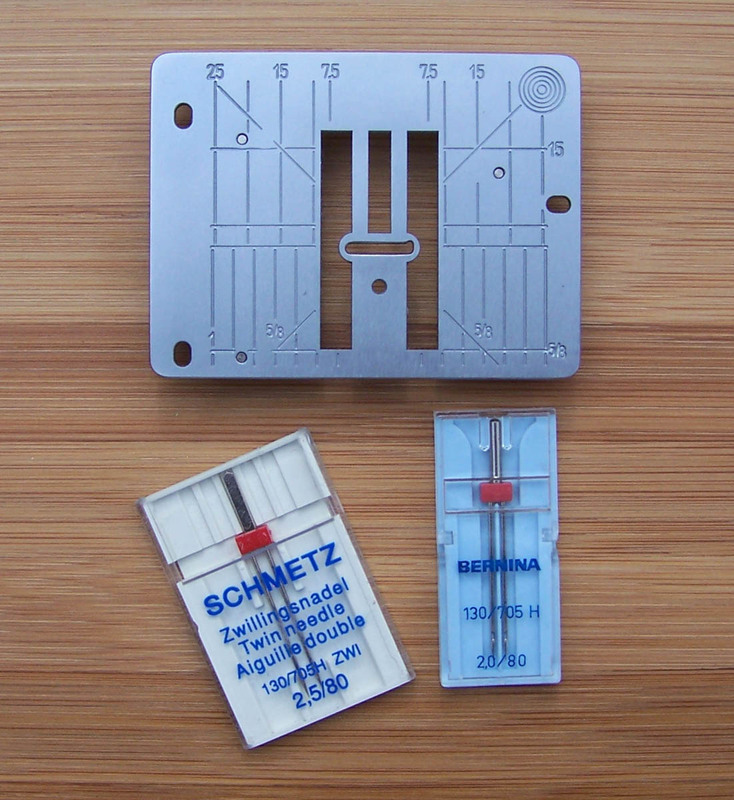 On the package are two numbers, which indicate the space between the tips and the size of the needles. For instance, a 2.5/80 needle is two 80 needles spaced 2.5 mm apart. When choosing a Twin Needle, keep in mind that the bobbin thread goes between needles creating a zigzag on the back of the quilt. There are also different types of Twin Needles, including Universal, Denim/Jeans, Ballpoint, Stretch, and so on. I recommend using a Universal needle, size 2.0/80 or 2.5/80. Install a Twin Needle and be sure to install a 9mm or 5.5mm throat plate. You’ll need two spools of thread and matching thread in the bobbin. I’m using two colors of thread to make it easier to see. Place a spool on each spool pin/holder. Thread the machine, making sure to position the first thread on the right side of the tension disc and the second thread on the left side of the tension disc. Thread the first thread manually into the right needle. Thread the second thread manually into the left needle. Do not use the needle threader. Attach a Walking foot #50 to your BERNINA. When quilting straight line, use a removable marker to lightly mark a line. Then center the marked line between the two needles. Use the edge of the Walking Foot to create a 3/8″ grid. Or, mark lines to create a larger grid. When using a Twin Needle, you cannot place the needles in the down position and pivot the quilt sandwich 90 degrees. So, plan your quilting design accordingly. 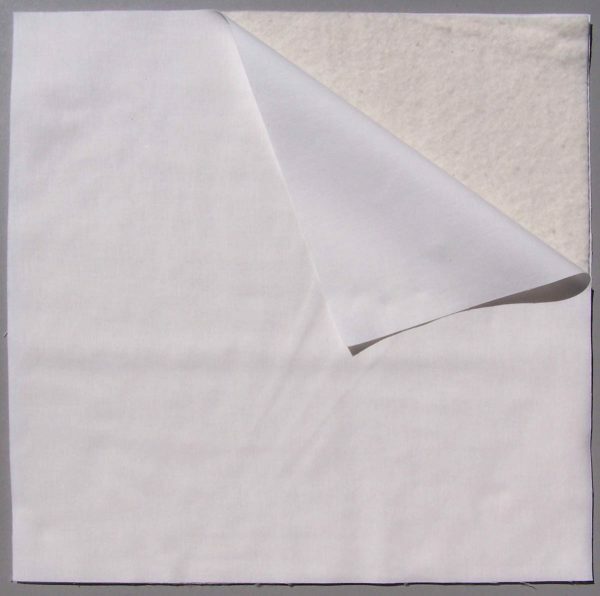 It’s easy to quilt gently curved lines using a Twin Needle and a Walking Foot. 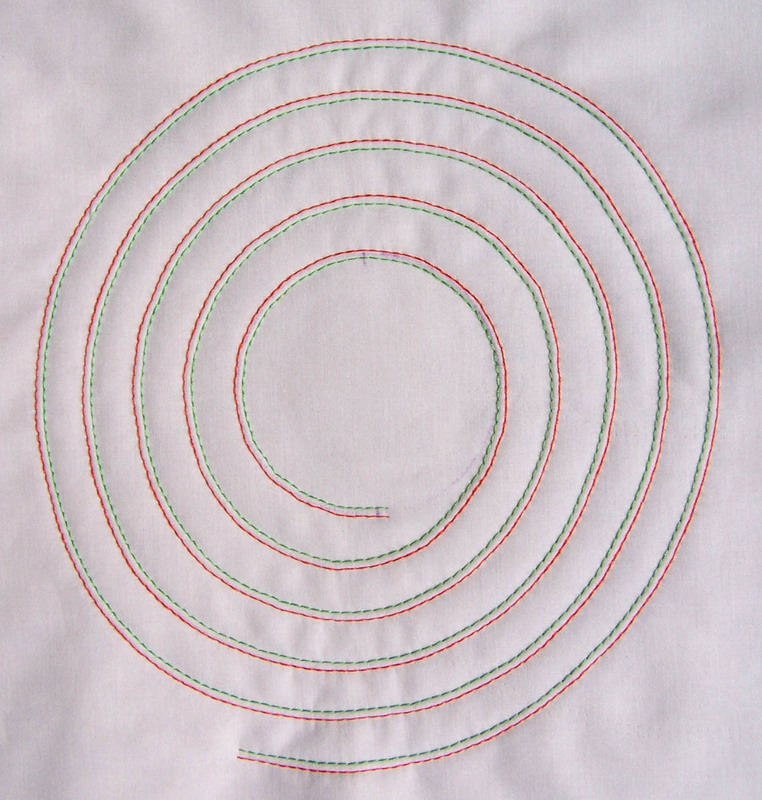 Using a Twin Needle and Walking Foot to quilt a spiral adds a fun element to any quilt. I draw the center circle first. When I’m about three-quarters of the way around the circle, I start moving away from the circle to start the spiral. Use the edge of the Walking Foot to create the spiral, stopping with the needles in the down position and pivot slightly as needed. I’m curious what the back of your quilt looks like. Does it worry you that it has an unusual appearance? I’m an avid fan of your blog. Thanks for all you share. I too would love to see the back! I would also like a little more information on how to get the first thread on the right side of the tension disc. Thank you! I would love to see the back also and need more information. I have an 830 and I would need to know how to thread the top thread. I also would like to see a whole quilt done with the twin needle. I echo the desire to see the back and to learn how to thread the top thread on an 830. To thread the 830 for twin needle stitching is easy. Look at the top of your machine. About mid-way between the two ends, you’ll see a silver flange. 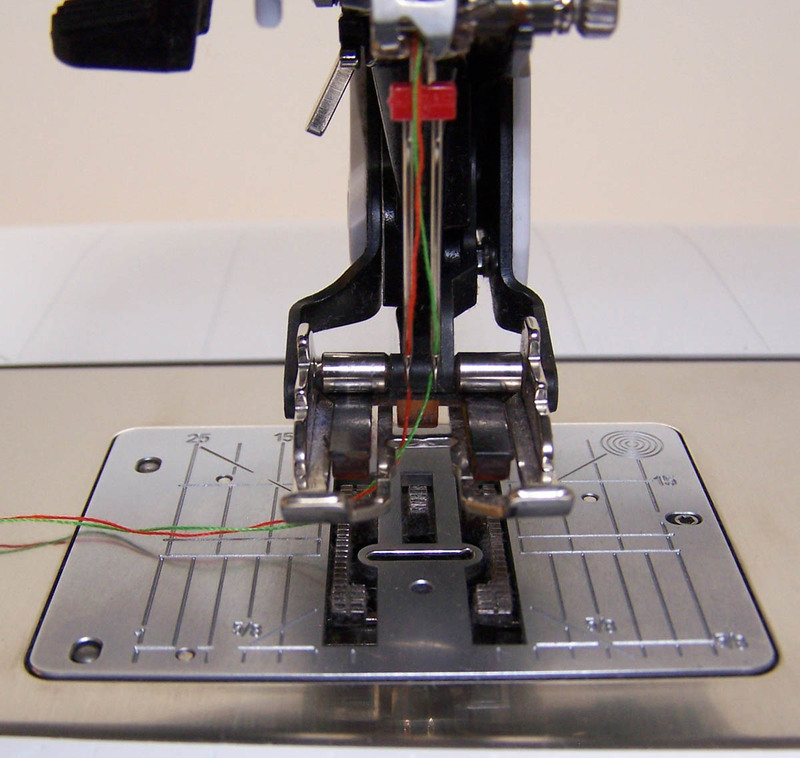 Put one thread in front of this flange, the second thread BEHIND it…turn OFF auto needle threader. Pull a decent amount of thread down so when you seat the thread it doesn’t get pulled back up into the machine. Now just push the button as usual to seat the thread properly, then thread your needles. You’re all set to go. Is it possible to use a twin needle when quilting with the Cabin Logic software on the bernina quiltframe, or would the machine move too fast for that? I’m not familiar with the Cabin Logic software, so I consulted a BERNINA quilting/longarm specialist. She has used a twin needle when quilting with the software. There is a place in the software to select different speeds. I suggest quilting at a slower speed. The dealer where you purchased the product may be able to assist you. Happy Quilting! I just love it, I am from Australia and doing work in https://www.elanlinen.com.au/quilt-covers and still trying to add such variety of quilt covers!, Any help?